No matter where you are going, why not make getting there can part of the fun with White Glove Limousine? Redmond residents have relied on our professional and courteous services for over twenty years to make any occasion special. Whether you’re looking for a romantic ride, carefree transportation, or a fun yet elegant excursion, White Glove has just the right vehicle to suit your needs. At White Glove, we offer an extensive fleet of high-end vehicles to serve our clients in Redmond. Limos come various styles and sizes, and we’re sure to have one to suit just about every need. For instance, our Lincoln Town Cars are perfect for private transportation. These vehicles comfortably hold one to four passengers, surrounding them in the luxury of leather, with many other classic amenities included to make you and your companions feel extra special. On the other end of the spectrum, we offer a stretch Hummer that is perfect for large parties. With our Hummer limousine, Redmond Limo clients can enjoy seating for up to twenty passengers. You and your guests will be surrounded by comfortable luxury with a host of extras that will add zest to any party! Our classic stretch limos are also very popular in Redmond. Limos should be comfortable yet elegant, allowing you and your guests to kick back, relax, and enjoy the ride. Our stretch limos, available in both white and black, are perfectly appointed with all the extras you would expect, plus a few you might not! They offer comfortable seating for up to ten guests and affordable luxury and privacy with soft leather seats and dark tinted windows. With White Glove, aside from offering you the most elegant, well-appointed vehicles you could ask for, we also give you peace of mind. Each of our vehicles goes through stringent maintenance checks and regular service to make sure they are in top condition, inside and out. In addition, our drivers are simply the best. 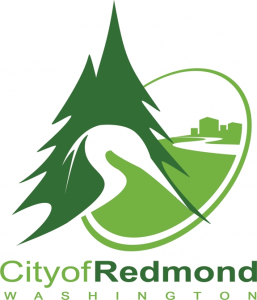 Each driver is highly qualified and extremely familiar with the entire Puget Sound area, including Redmond. Limo drivers should add to the enjoyment of the experience, not detract from it, and we’re confident that you’ll find all of our drivers to be prompt, professional, and courteous. So whatever the occasion, White Glove Limousine has what it takes to make it special. Why wait? Call or click today to reserve your vehicle now. Our representatives are standing by to answer all your questions and help you choose the ride that’s right for you!